I hope you are having a great summer and hopefully finding some downtime to rest and relax. I've been working on songs here and there and am starting to put a few new songs down on paper for the upcoming school year. To help make life easier for the upcoming school year, I recently recorded songs for each month to help with calendar skills. I got the idea for doing songs for each month from the amazingly talented music therapist (and new mom! ), Rachel Rambach. 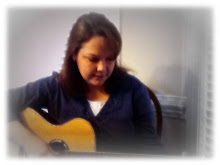 Click here to visit Rachel's site and hear her wonderful songs as well! I love reading Rachel's blog and love listening to her songs even more. Her ideas are super creative and smart and she inspires me to think of so many additional ideas. Today I'm posting my song for the month of August. Around here, the students go back to school in mid- to late August, so I wrote the song to reflect that. Most of the schools in my area (other than a few private schools), have also implemented a uniform for school, so I included that in the song as well. Each month I will be posting a song of the month. I use these songs as part of my group sessions in classrooms. I design visuals to go along with each song and incorporate Boardmaker pictures to provide a visual for each holiday, special day, etc.. The students are always eager to see what each new month will bring! Do you need songs to help with your lessons for the upcoming school year? Email me at morewithmusic@gmail.com with your song request and your song request could be featured here on More with Music!